We are going on a Carnival cruise this summer. I have inquired via my travel agent about vegan diet requirements. She says that Carnival carries soy milk products and that I just need to inform my waiter of my dietary requirements. Have you had any experience with this and if so do you know if they are good at accommodating? While I have not been on Carnival specifically, we have been on 2 or 3 other cruise lines. I believe most cruise lines these days carry soy milk. You usually just have to ask them for it. I think they keep it in the belly of the ship, though, because every time we would ask for some (for cereal, for instance) it would take someone about 20 minutes to return with it, usually by the glass-full. So be sure to ask for more than one glass, if you need it. Try to slip them a small tip for helping you out. 2. It's nearly impossible to find vegan food in most cruise ship dining rooms. We NEVER eat in the dining room. It's quite pathetic. Although I understand it is always a beautiful place to be, and you may want to go at least occasionally for the ambiance. 3. The best place to find vegan food is at the buffet. Some days they have lots of vegan food to choose from, and we just gather what we like and make a meal out of it. Some days the buffet doesn't have as much, and that's when we will have a salad and some of the soups/meals we brought along. When the buffet managers would get wind of our vegan situation, they were always SO gracious, always coming up to our table to ask if we had found enough to eat, and to let them know if we ever needed some help finding food. 4. If your cruise ship has a pizza place, you can gather up all sorts of fresh veggies from the salad bar and ask the pizza people to make you a cheeseless pizza with the ingredients you have piled onto the plate. At first they look at you like you're from another planet "NO CHEESE?!?!?!?" (haha) but after a while they got used to it. (And I personally think it helped to break up the monotony of their gig.) We usually would give them a tip ($5) for their trouble, although they didn't always accept it. Just be sure you try to hit them up for this special service when they're not SLAMMIN' busy, just out of respect. 5. Although they don't have any signs posted, on those days when the grill is making burgers, most cruise ships have veggie burgers and are very happy to accommodate you. 6. I find that if you're very patient and kind, the people that work on the ship respond. I'm sure they are not always spoken to nicely by some travelers. 7. Of course, one of the suckiest parts is there are no vegan desserts! booooooo!!! By the way, if you're totally new to cruising and really feel in over your head, this book (Cruising With Special Diets) is a good choice. While Mark doesn't cover any particular diet in detail, he does a really good job guiding you about who to talk to and how to make it all work, from the time you book your cruise all the way through mealtime on the ship. Plus, it's FREE! Highly recommended. Comments for Can cruise ships accommodate Vegans? Celebrity Cruise Line has a vegan/vegetarian menu. When I told the maitre'd I was a vegan, he immediately came back with the menu. I was on a two-week cruise and I didn't have the same thing twice! And this was in the dining room. Everything I had was absolutely delicious. On the other hand, the waiter and maitre'd on the Princess Cruise Line didn't know what vegan meant. He wrote down which foods I wouldn't eat and relayed the information to the kitchen. It was an adventure wondering what I would be eating for dinner every night. After being spoiled on my Celebrity Cruise, my dinners on Princess was a disappointment to say the least. That alone will make me think twice about sailing with Princess in the future. Yes, Carnival will accomodate you! My husband and I went on a Carnival Cruise over a year ago and getting ready to go on another one in May! You just need to let your evening waiter know that you are vegan and they will fix a vegan meal each night for you. They also did vegan desserts for me as well! Have fun!!
. . . or at least it seemed like it. We just got back a couple of weeks ago from a 14-night Panama Canal Cruise and can't find enough positive adjectives to describe the overall experience! Although the menu for dinner included a vegetarian choice, it was not usually vegan. We were expecting to have to eat at the buffet most of the time, which would have been a real shame because the dining room was opulent. (On the other hand, the food at the buffet was always was molto delicioso).We definitely set our sights too low and underestimated the Celebrity staff. On the first night, we ordered baked potatoes and chose several side dishes listed with the meat selections. We ordered steamed broccoli, green beans, peas, carrots, and corn. We also ordered sauteed mushrooms and caramelized shallots that were on the menu as a topping for steak and we put them on our baked potatoes - yummy! After one meal our waiter relayed our diet preferences to the chef and for the next 13 nights, we had specially prepared food. I wish I could remember it all, but the most spectacular was a butternut squash/vegetable/rice mixture served in a phyllo pastry shaped like a flower. Be still my beating heart. Dessert - one poster said there are no vegan desserts and for the most part that's true. But on Celebrity there was always a fruit sorbet offered. We had watermelon, mango/grapefruit, peach, strawberry/guava, and my favorite, lemon. We sat at a table for 10 and four of us were vegan. The only less-that-savory part about any meal was sitting next to plates piled with bones left by the omnivores surrounding us. Soy milk - Again, it's true that they must store soy milk in the bowels of the ship because when I asked if they had any (at the buffet), my experience was like the one already posted: I waited for quite a while. But the next morning, I went back to the same station in the buffet (the buffet is probably half the length of the ship and wraps around in an oval) to see if I could get some more for my cereal. The box of soy milk was sitting right there in the ice along with the other milks. Talk about attention to detail. 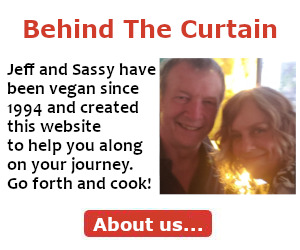 One caveat - Although we did fine being vegan, we didn't do so fine being fat-free vegans. which is what we try to do (thank you Dr. McDougall). Lots of butter and oils used on board - but it WAS only two weeks and we're back on track. Anyway - there's no reason not to cruise because it really rocks and you won't starve for sure. PS - There's a vegan/vegetarian cruise that I'm going to try to take next year. This year it leaves in March, so too soon for me. You can read all about it at http://www.atasteofhealth.org/. My experience with Princess cruise to Alaska was not pleasant. The head waiter would make a big production, before presenting me with steamed vegetables every evening. This embarrassed my mother greatly. Many salad bar items also contained meat. In general, the service on Princess is disappointing and I cannot recommend the line. Don't be surprised if they don't give you lots to go on before the cruise. It's when you actually get on the ship and can look someone in the eye to explain your situation that they can usually help out. I have just returned from a 10 day Panama Canal cruise aboard the Island Princess. After reading a previous negative review I wanted to put in a good word. I had spoken with Princess and also indicated in my preferences that I am a Vegan. The head waiter and Maitre D' met with me daily to go over the menu and I had a delicious specially cooked meal prepared for me everyday, including a special dessert. Princess and her staff went above and beyond to make sure I had everything I needed. They were very accommodating and made me feel that my comfort and happiness was of utmost importance. I highly recommend Princess and will be sailing with them again very soon with no worries! It is always good to prepare them in advance so they can have the necessary foods onboard and a friendly undemanding attitude goes a long way in basic human communication. Pam, this is sooooo good to hear. Thanks for letting us know. Very happy you had such a great experience! I think one thing that might make people hold off on speaking with someone about their diet pre-cruise is they don't know WHO to talk to. How did you figure out your point of contact before sailing? I went on my first cruise last December, the TCM Classic Cruise on Celebrity Millennium. I ate fabulous vegan fare the whole trip, and the chef made me vegan dinners in the main dining room every evening. I'm going again in 2003 with TCM on the Constellation and expect the same stellar service. Well, Kat, that is very good news and super helpful to all. Thanks for sharing! As a former raw vegan, and someone with numerous food allergies I do understand the lack of choices for vegan fare and even variety on cruise ships. It is also definitely a daunting task to find out who is the best person talk to on the ship, or wonder if you are going to starve, as salads every night get extremely boring! A good travel agent in your arsenal, is something that should not be ignored. Things like this are best left to someone that has been in your shoes, and has the knowledge to be able to navigate the different cruise lines to be able to find the best line to accommodate your needs. This way you can worry less about your food, and concentrate more on enjoying your vacation, and making lasting memories. I posted a comment on Feb 3, 2010 regarding the great cruise on Celebrity Constellation. We're going cruising again, this time on the Emerald Princess and we're leaving for the Baltic Sea on the 20th of July. I thought I would give Princess a heads up regarding our dietary choice so I called and talked to a very nice lady. I asked her to list us as vegans and she said sure, and came back in a minute and said it was all done - she made sure our waiter would know we're vegetarians. So I asked her if she could make that vegan instead of vegetarian and she said there was no way to enter a vegan choice on our preferences. I told her about this blog and how others had given Princess high marks in the food choice category. She put me on hold while she went to ask someone else and when she came back, she was very apologetic, but said we would have to talk to our waiter the first night and get things straigtened out with him/her. She said they have loads of vegetarian choices and was sure we would be accommodated. So . . . looks like we vegans still have a ways to go before we get our own box to check, but I think it will all be just fine. I'll report back in late August. I LOVE that you are going to check it out and report back for us! I know we would all sincerely appreciate it. Giant hugs, safe travels, and looking forward to your report in August. xo! LOL yep, I am high maintenance. Did I put no sodium too? (roll your eyes, go ahead, I do) I am a veteran cruiser, but November 2012 will be my first ever cruise with ALL those requirements. I am cruising on Costa, so there will be the pasta every night, (although unless everything is made from scratch I could be in for an uncomfortable time (my body rejects a large number of things now), for me it is not just a lifestyle choice, it is body limits. I was considering taking my own brown rice and quinoa.....thoughts? Anyone have any "MUST" takes when they have done this? Will your room have a fridge? Can you request one? Can you check with them to find out if you can bring your own food on board? I mean, clearly you can bring packaged dry goods and rehydrate on board, but not so sure about the pre-cooked stuff that you will have in a Tupperware container? And you'd have to be sure to keep the food cold on your journey to the cruise ship. I am cruising in 2 weeks and strict vegan. Anyone with experience on infinity? I am very worried! Hmmmmm...seems like you might be charting some new territory here. If I were you, I would call the cruise line and ask about the options they have. You might also check if your room will have a fridge. Be sure to read through this entire thread for ideas on how to make the food on your ship work for you, and also what to bring with you for emergency nibbles. Don't be afraid -- I know it will be okay. I'm sure they will take good care of you. I haven't had much luck in the actual dining rooms, but the buffets are usually amazing. Please do report back here after your cruise to let us know how it went! May 2012 we took a cruise in Carnival Dream. A few of us are vegans and were concerned about having options for us. Before we left I saw on the carnival website that you can ask for soy milk, which made me happy. The first night in the dining room we told our waiter that some of us were vegan. The hostess came to our table and talked to us about our dietary options, and we told her we eat no animal products. She was so nice, she went over the menu for the next night and told us what things on the menu can be made vegan. Appetizers, soups, entrees,desserts! She came to us each night towards the end of dinner, and showed us the menu for the next night and we picked what we liked and also suggested what can be made vegan for us. Everything was made special for our needs. Everything was delicious and we felt like royalty! we even had rich dark chocolate cake or vegan custard for dessert. This made the cruise great for us. PS. they even had veggie burgers at the poolside grill! Well, Nancy, that is AWESOME to hear. So glad you had such a good time! And they took such great care of you. It's becoming clear that if these ships take good care of their vegan passengers, the word will spread. Peter! Just thought about you and I am wondering how things went on your Infinity cruise? Were you well taken care of with your vegan diet needs? I contacted Princess in advance of our cruise. Fourteen family members were sailing...five of us were vegan. I was informed that they would supply soy milk, but the menu offered vegetarian options...and they would try to be accommoding. Once onboard, the Princess staff was wonderfully accommodating!! The head waiter at our dinner table planned the following night's vegan dinner with us each evening. We never had a repeat. Some evenings we were surprised with an additional vegan course. Dessert was always a different fruit sorbert...but, we were happy to have a dessert. Breakfast was usually oatmeal with fruit and soy milk. The lunch buffet was satisfying. The one day that there was no real vegan option at the lunch buffet, I explained my dietary needs to the chef, and he made me something special! At the pizza station, they gladly made cheeseless pizza. I have high praise for the food service staff on our Princess cruise. I have been on the holistic holiday at sea 4 years in a row and it is totally vegan and I will go again in March 2012. I highly recommend it. I want to go to the Meditteranean next year and choices are Norwegian Line, Costa or Royal Carribean. Which is best for vegan ? Call the cruise folks ahead of time, same as if you had a food allergy or diabetes...etc. Speak with the dietitian 1st day. Had a lovely experience on Norwegan cruiseline ...the 7 day around the islands in Hawaii. If we werent sure, we just asked if items were vegan and staff were all helpful. Ask for the soy milk soon as you check if it is not on the cereal bar. The head chef at one of the best (food included, no extra charge) restaurants prepared something each evening for my grandson and me. He seemed very happy to do that and just went with what he had in the kitchen for the nights menu and sometimes there was a vegan or easy to leave off the non vegan item and if not he prepared something different. He said he had not had such a request before and seemed to enjoy the challenge. We had a specific area to sit and time to eat. It was varied and always delicious. He used Lentil, rice, pasta, veggie, grains, beans to create several dishes and made special cheeseless pizzas for my grandson. Also lovely salads and fresh fruits. Everything was very good. Doing a Alaska cruise next year and hope it is as good. Vegan eating at all inclusive? Has anyone had an experience with all-inclusive resorts? In June we are going to the Riu Palace in Los Cabos and I was wondering how hard it will be to eat well. Hubby Jeff and I sailed on the Norwegian Epic over Christmas and New Year's Eve. Jeff had a piano gig that required us to live on the ship for two weeks, which was 2 back-to-back one week cruises to the Caribbean. Fortunately, we are always prepared with our stock of food (see original message above) so we could survive. And the staff at the helm of the kitchen were sooooo helpful and always bent over backward to accommodate us. They have a salad bar option with every lunch and dinner. They have a veggie burger. They always have a section with Indian food. I'm not a huge fan of Indian spices. I spoke to someone in line from India and they said the ship does an okay job with the Indian food, but it is not really super delicious Indian food by any stretch of the imagination. But at least it was there and always had rice with a couple different saucy-type toppings to pour over the top. They usually had at least one veggie made without butter. But one time when I was in line for a stir-fry I noticed all their veggies were made with butter. They promptly made me my very own batch of stir fry without butter in a clean pan. Yay! So overall, not a whole lot to choose from. But the staff did an excellent job of keeping us happy. This particular cruise stopped in St. Thomas, and if yours does too you MUST go to eat at Natural Livity in Charlotte Amalie. OMG. The food is 100% fantastic. Deli style -- order your food at the counter. They have some tables but it was pretty warm in there so we took our food to go and ate on a shaded bench in a pretty little park down the street. Here's a review of Natural Livity from Happy Cow. First, thanks to everyone who pasted on this thread; it was very helpful to get me thinking about my cruise. I wanted to add my experience on the Norwegian Pearl, May 5-12, 2013. I called the NCL Access Desk in advance to have them notate "vegan" on my account. In the dining room on the first night, I asked to speak to the maitre d' and he was so accommodating. From there on out, I definitely had to remind people and advocate for myself, especially since this was "freestyle" cruising, which means I was never in the same restaurant at the same time. But several crew members did start to recognize me. A couple of very nice staff would ask me in the morning if I was all set for dinner that night. When I knew in advance where I would be eating, I would visit that restaurant to discuss the menu. We ate one night in Le Bistro, a specialty restaurant. The night before, I spoke to the maitre d' about the menu, which had zero vegan items on it, and she had me sit down and brought out the chef. He told me he would create something special for me (even asked me if I like eggplant), and they ordered a spiced apple for my dessert. On nights when I forgot to order in advance, I made sure to explain vegan and then asked for them to prepare something for me or to tweak an existing item. I think it is easier for them to order in advance (no need to specify which time or which main dining room you will be in) and then you just give your cabin number to your waiter when you are seated. I did ask about the veggie burgers on board the ship, and they are made with egg so are NOT vegan--beware. In the buffet, I always found things I could eat and asked when I wasn't sure. I brought a container of almond milk to keep in my cabin fridge, and a small jar to transport almond milk to the buffet for my cereal and coffee. I found that at the Asian specialty restaurant, there were two vegan appetizers (vegetable spring rolls and vegetable dumplings) on the menu, plus a vegetable chow fun and a tofu dish which were both vegan, so no need to pre-order. On my last night, I had forgotten to pre-order, but the maitre d' from the first night was so nice and hooked me up with stir fried vegetables and a plain baked potato, and it was one of my best meals. He came over to check that I was satisfied. This is a long spiel, but I want to add that I was thrilled to find a regular dessert item on the menu in the main dining room, which was lemon sorbet. I love lemon sorbet, so I did not feel deprived. On the first night, the maitre d' brought me a special handmade strawberry sorbet on his own initiative. He was the best person for understanding what vegan was and for wanting my meals to taste good. If you go on the Pearl, look for Mr. Jorge Sosa in the Indigo dining room! I still think cruise ships have a long way to go. I would like to see regular items on the menu and in the buffet with vegan labels on them. And maybe some vegan chocolate desserts at the chocoholic buffet! Oh, and I took a behind the scenes tour and got to see the galley and food prep rooms. There is a poultry prep, fish prep and meat prep room. Smelly and gross! When we stepped into the cold room for fruit and vegetable storage, it was like a breath of fresh air and so colorful vs the smell of death in the other rooms. I was never so grateful to be a vegan! Hi Elizabeth! Thank you so much for sharing. We have Freestyle cruised with NCL and liked it MUCH better than the "old fashioned" way of two dinner seatings per night. I appreciate you sharing so much of your experience with us -- sounds like it was almost all positive!! Yay! I had meals my non-vegan friends envied. Sorry if you were the person who went Princess and had a bad experience, but as a Platinum memember of Princess I have found they do a good job. I would like to encourage them to make soy icecream or something for dessert. Since I like longer cruises it would be nice to have something other than fruit for dessert! Soy and almond milk are available too. Sooooo important to share feedback with them as well so they know their efforts are not going unnoticed. We are cruising next May on Royal Caribbean and I am vegan. Has anyone had an experience with this cruise line? I'm wondering what dining experience you've had cruising on Viking in Europe? Any suggestions as to how & who best to approach to get vegan-friendly meals? We cruised on the American Queen steamboat from St. Louis to New Orleans this Fall. The dining room matre'd and the waiters were usually helpful to arrange one vegan choice each day. I suggest speaking to the matre'd after breakfast every day to be sure something is available for the evening meal. Often the vegetarian selection could be "vegan-ized" without too much difficulty. The main buffet always had great salad & fruit choices & soymilk available on the line. Sorbet was always the dessert choice. I'm so sorry for the delay, I didn't see these notes come in from you. Rheag, you'll be going on your cruise in 4 months, were you able to contact anyone from Royal Caribbean to ask any questions? We have sailed on them before, and while I don't remember particulars, I do know that it was one of the easier ships to find vegan food on. Just be sure you speak with the host in charge at the beginning of the cruise and he or she will take good care of you. Carole, I'm sorry I have never cruised on Viking. Perhaps someone else will come on who has experience and some good advice? In June 2013, my husband and I booked our first Princess cruise. 14 days OFF THE BEATEN PATH, which included a 8 day/7 night cruise of Alaska on the Island Princess, and 7 nights at Princess Lodges in Alaska. This was my first cruise as a vegan. I discovered Dr. McDougall late 2011 and try to follow that eating lifestyle when I travel as well. Princess still does not understand "vegan". Vegetarian, no problem, but I'm vegan, and try to avoid added oils as well. We had a very nice head waiter, that worked with me every night to get something I could eat - but let me tell you, my options were very limited. Also, the breakfast buffet - I wanted a potato option with no meat as part of my breakfast, and had to wait 10-15 minutes most mornings for the chef to cook something for me, and for my final morning, I was told flat out "not available". Their hash browns looked like McDonald's "hockey pucks". So, wait - the lodges are even worse. Some lodges are in remote areas of Alaska, so you can't just walk down the street and find a pizza place and ask for a cheeseless pizza with veggies. Now, the good news - if you like oatmeal, no problem - eat oatmeal every morning with no milk and no butter on toast and you can always have a vegan breakfast meal on board ship or in one of the lodges. Bottom line - you will not go hungry, there will be 1 option for you that the chef will prepare. If you want variety, do not look to Princess to deliver yet. On my next cruise, I would not select Princess. I would select a cruise line that has, "vegan" on their dietary option list - otherwise, you will work hard with the head waiter or you will get to know that buffet line chef very well, so you get what other people paying the same price get standard - a wonderful choice of food options every meal, every day, in their buffet and dining room. All you have to do is be nice, firm and clear and ask. Excellent thoughts about Princess - thanks for sharing! It seems to me, since some people have a good experience on Princess, and others not as good, perhaps it depends on the head chef(s) and what they will and will not do, or what the do and do not know, about the vegan diet. We have been on 4 cruise ships so far.. The best for food being Royal Caribbean. The head waiter understood veganism. He would ask us the kind of food we wanted the night before and a vegan version would appear the next day. He even produced a chocolate mousse (tofu). Carnival...main restaurant was basically veg and pasta. However they do a nice veg pizza as part of the buffet. The base is dairy free and they are happy to make Cheeseless. Norwegian Cruise Line...gave up on main restaurant after the 'Chefs Vegan Special' was tomato pasta sauce on chips. They had a chocolate buffet one evening and closed off the whole of the main buffet. There was nothing at all for us except fruit. We did find fries in a downstairs snack bar. We went to bed hungry on a cruise ship! Thompson..The head waiters were friendly but things went badly wrong. Our special order in the restaurant arrived in a cheese sauce. That meant waiting then for a dish to be recooked. The buffet restaurant suffered from dropped meat into salads . The rice was cooked with butter, even sweet corn was cooked in milk. The noodle man admitted that the wok was not changed/ washed between meat and veg dishes. That is just a few of the probs! A feedback form has gone into them. Don't let this put you off cruises though, we always found fresh fruit and felt very healthy afterwards! I was diagnosed with food allergies to Beef, Chicken, Corn, Shellfish, and milk this week. I go on the Carnival Triumph this weekend. I'm so nervous about not being able to eat anything but salad...does anyone have a heads up on this cruiseline?? The Regent Voyager did a fantastic job on our no fat, no oil, no sugar vegan diet. They stocked amaranth seeds and chia seeds and many other foods not normally in the larder. Chef MADE vegan salt free faux filet for us. Every lunch we enjoy chia crisps as a munchie while waiting for lunch. My favorite was frozen mango pureed and served as our intermezzo course. I love the chocolate cake made from cocoa, applesauce and flax egg! They gave me the menu at night for the next day, and I would make a menu of what we wanted to eat. If there wasn't anything that looked good, I just wrote what I wanted for us to eat. It was that simple. The food was beautiful and delicious and we have booked another cruise! After 3 months cruising, neither one of us gained an once. Cholesterol still low, everything fine. 5 stars for Regent Voyager! Thank you so much for sharing your experience with the rest of us. Have fun on your next cruise! If you ever think about it, come on back here and let us know if it was just as good the second time!! I have booked a 7 day Disney cruise with my family for Spring 2015 and was wondering if anyone has any experience with them having low fat vegan options. 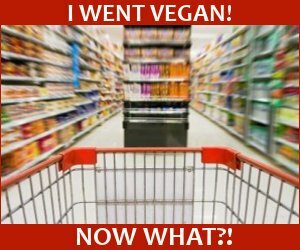 I have been vegan for 23 years, but none of my family is. I have a son with peanut/ tree nut allergies as well and am hoping they can accommodate that, but am worried that the low fat vegan options might be slim. Had a fantastic vegan voyage on the Grand Princess in September including Vegan desserts. The headwaiter Jose was fantastic and made certain that I was well take care of....bottom line just ask. I think Princess is finally getting the point. Plan to go back on the Grand Princess in January and hope to get a repeat performance. My first cruise as a Vegan came in May 2013 on a Holland America cruise ship. In the main dining room, they had a separate vegetarian menu with vegan items on it. The menu was the exact same every day. They requested that I select my menu for the next evening the previous day. So the routine worked I would have dinner and at the end of dinner, they would bring me the menu for the next night and I would make my selections. Breakfast was Irish steel cut oats every morning. Getting berries added was a challenge that I gave up on by the end. Lunch was very easy with salad bar and lots of other selections like potatoes, rice, pasta, etc. 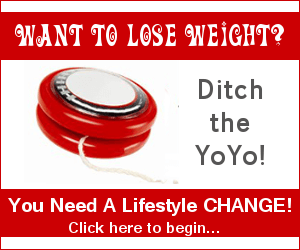 For a 21 day cruise, I lost 2 pounds as opposed to most of the other passengers who gained 10-20 pounds. Hehe! Love it! Thanks so much for sharing!! Nothing like coming back from a cruise with a healthy weight loss. XO! Hello again. Update on a few more cruise ships we have been on. MSC Magnifica We braved the main dining room twice. They served us very simple food, high in carbs, took a long term to be served. So we gave up and went to buffet. Although the queues were long , the food was very fresh. We both had several meals consisting of raw veg and fruit. We picked vegan cheese and crackers from one of the ports. Celebrity Infinity. Food wise, this was heaven on earth! 7 courses of vegan food every evening. The maitre d' understood perfectly and gave us food of equal quality and imagination to the other diners on the ship. He showed us the separate vegetarian menu, if we didn't fancy any of it he talked through alternatives. A typical meal was Rye Bread &chunky hummus, soup, salad, starter , main course, dessert and drinks/fruit. It's a shame though that from a moral point of view we won't use celebrity again until they stop selling fur. We contacted the head office and they are 'looking into it'. Norwegian Jade. My partner contacted the cruise line months in advance to say how awful the food had been on Norwegian Spirit. They replied with the name of the Maitre D' who would be looking after us. When we got on board that maitre d' was doing a different role but gave us another name. That staff member had us down as kosher not vegan.. After the first few days though things did settle down! We were able to pre-order every night. They even made us walnut bread daily and chocolate cake. The breakfast Buffet was a long wait for soya milk but food was ok. Lots of fresh melon. We are on P&O Oriana in February if anybody has any experiences to share. Hi there -- and wow, your cruising experiences are so positive and hopeful for so many out here! Re: "We picked vegan cheese and crackers from one of the ports." I'm curious, did your room have a small fridge? And do you know if that was common for rooms on the MSC Magnifica? Did you have to put in a special request for it? When Jeff was playing piano on various ships, our room always had a small fridge, but it was also one of the private crew rooms and I wasn't sure if that was a normal thing throughout the ship. Celebrity Infinity has got it going on ... at least in the food department. Thanks so much for sharing. And I hope someone comes on to talk about their P&O Oriana foodie adventures! There is a sign saying food cannot be brought onto the ship but we have never had a problem with prepackaged sealed items. How fascinating you know somebody who worked on a ship. That must have been a hard life , especially on dis/em barkation day. Rather them than me! "There is a sign saying food cannot be brought onto the ship but we have never had a problem with prepackaged sealed items." "How fascinating you know somebody who worked on a ship. That must have been a hard life , especially on dis/em barkation day. Rather them than me!" It's hubby Jeff, and he did it occasionally over the course of many years. I always got to go along for the ride. On some ships we boarded together, but on Norwegian he had to use a different entrance so he could check in -- and YES that sucked because for some reason our cell phones weren't working and my key didn't work to get into our room and we couldn't find each other for a couple hours! I love cruising. It's such a blast. xo! I'll be going on a two week cruise on the Celebrity Equinox in January, 2016. I've already contacted them regarding vegan options, so hopefully things will go smoothly. I will be sure to revisit this site and report my experience for future travelers. This page is a great resource! Thanks, Sassy! Have a blast! Wish I could stowaway!! Can't wait to hear back. :) xo! Hi, I've been enjoying this thread as I am getting ready to sail my first NCL cruise as a vegan in June 2016 (Alaska!). I tried calling NCL customer support the other day to ask about accommodations and talked to a rep that didn't quite understand what I was asking. She finally recommended that I speak to a "dining manager" when I board. I read in a previous post that NCL veggie burgers are not vegan. Is this still true, or does it vary from ship to ship? I know it will be a lot of work to find the right people to discuss my needs, but I am hoping for a relatively stress-free dining experience aboard the Jewel. Fingers crossed! Personally, I wouldn't wait until boarding to address this important aspect of your cruise. I was instructed to contact my cruise line well ahead of time as these ships have long lead times when it comes to ordering food. I would suggest placing another call and requesting to speak with someone who is better informed than the rep you spoke with. Regarding whether or not the veggie burgers are vegan or not, chances are that they're not. More than half of the veggie burgers I see at the supermarket aren't vegan. On board our ships, we offer breakfast, lunch and dinner menus that feature low-calorie, haute cuisine dishes. Our top-rated chefs also prepare vegetarian entrees (nutrition information provided) and sugar-free and fat-free desserts. Gluten-free, lactose-free, sodium-free, and dairy-free diets can also be catered for and must be requested at least 30 days before your cruise (Kosher 2 months). Please contact us at customerservice@ncl.com." Cruise Critics Boards here AND here. Look around the Cruise Critic boards. Very helpful! :) xo! I would not go on any other cruise, because if it weren't for Holistic Holiday at Sea (HHS), there would have been very little for us to eat. We would have lived on pizza, salad and fruit. I love all those things, but not for a week straight. HHS is a conference on the cruise ship which features famous people like Chef AJ, Dr. Greger, Dr. Barnard and Dr. Campbell just to name a few. They give talks and cooking demos. There are also some famous vegan athletes and yogis that give workshops/classes. HHS works with MSC Divina cruise lines, so that there is a special section in the buffet just for vegans. There is also a dining room just for us with the options of oil free and gluten free. I loved all the food. There were also two ice-cream socials and a pizza party. The ice-cream was sugar and oil free. There was a gluten and oil-free pizza option too. The entertainment was great. The speakers were phenomenal, of course. We stopped in St. Thomas and did a kayak and snorkel tour. We saw a sting ray!!! Then we stopped in San Juan and did a rain forest hike. Finally, we stopped in Nassau and did some beach and shopping. If you're considering a cruise and your vegan, this is the one! That sounds like a much better setup than what I experienced on Celebrity. It was difficult to find a good variety of healthy, vegan items over the 10 day stretch. Most, if not all of the vegetables were sautéed with butter added. Many of the vegan foods were fried, so not especially healthy. Extensive salad bar got boring after a few days. The only area that was vegan friendly to any degree was a small cafe located near the spa, which is where I ate lunch most of the time, but their menu was very limited in scope. If I ever go on another cruise, it will be like the one described in the post above this. I looked into doing the vegan cruise once but was so disappointed in how much more EXPENSIVE it is compared to the same exact cruise without the vegan options. I have had very good luck on my princess cruises and have had great head waiters that have made certain I get what I want margarine and soymilk and my own menu done up from the main menu or I just ask to do tofu styled dishes...even vegan deserts. I have had no c/o when cruisin' princess. I always do sit down for the best service. Thanks Libby and luv princess for sharing your experiences with us! Much appreciated, and I'm sure it will be super helpful to others who come along! xo! We were recently on an 11 day Holland America cruise to Panama Canal. This was our 2nd cruise on HAL and we love the ships (smaller) and the wonderful staff/service. Everything was perfect except our dining. If you want a vegetarian meal in the dining room, you must go the day before to order your meal. I found that to be off-putting. The veg menu only has three vegan entrees on it and they weren't that great. We ended up having most of our meals at the buffet and that was very limited too. Salad bar always had the same items on it and even the cooked veggies were off limits because they were cooked in butter. There was a pasta bar, but all of the pasta was made with egg. Eventually we found out they had gluten free pasta which was also vegan, so we had pasta with some veggies and marinara sauce on many of the nights for dinner. I felt deprived of vegetables!! I mentioned that I had attended morning exercise classes and there were never more than seven people there on any given day. 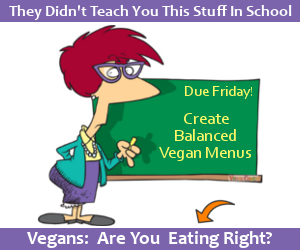 If they could have whole classes for that small number of people, I thought they could accommodate the small number (I'm sure more than seven) of vegans on board with decent meals. BTW, the vegetarian menu was identical to the one they handed us on our previous cruise a year ago. Holland America and Vegan Cruising? Darn. I wish they would update things to ensure a smoother experience for their plant-based passengers! Considering the number of cruise ships and the number of vegetarian/vegan customers out there these days this is really no longer acceptable. Come on, Holland America, get with the times! xo! ps Thanks for sharing your experience with us! We just went on a Carnival Cruise (Triumph). The Dining Room staff was amazing. 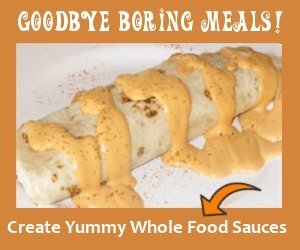 They created a custom vegan meal for our son every night, using such things as tofu and quinoa. It seemed like the chef used it for creative freedom, rather than a burden. The vegan dinners were Always very pretty and tasty. Our waiter was very knowledgeable and supportive of our son being vegan...gave him a big hug at the end rather than treating him like he created more work! For lunch aboard the ship our son hit the mexican place mainly and had black bean burritos. Since is is no charge, he would eat a few as a vegan teenage boy eats a lot! There was also a stir fry place that had tofu. For breakfast there were plenty of vegan things to get by. For the tours, one of our tours was very supportive and we didn't even have to tell them he was vegan as there was so much to eat that there were plenty of options. The other tour was not understanding of vegan folks, but our family and another veggie family talked to the Carnival Cruise Director and they were so appalled by this that they refunded money and let us know all of the senior people at Carnival who would be looking into this. He was genuine with his concern. All in all, our son who was extremely worried he would starve ate very well each day. Be sure to tell the head waiter as soon as you board the ship of your vegan needs. We did and as a result had a vegan dinner for us that first night as a result. Just booked a cruise next March (2017) that will not only have gourmet vegan food at every meal, but lectures and yoga to boot. I'm not sure if I can post a link on this site, but if you google holistic holiday at sea, you can see all the details. I will be sure to report back here after the cruise! Have a blast! I've heard such good things about Holistic Holiday at Sea! Please do report back if you get the chance. Don't worry, I will definitely report back to everybody. Very much looking forward to it already. Hello, First of all, I Want to thanks whoever runs this blog. I find it very useful. 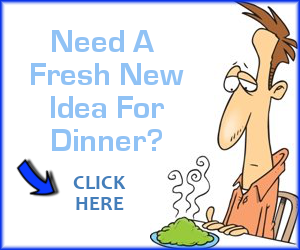 Ncl give you the option to select vegetarian option as a special diet need. I know I can survive on salads but I was wondering if there was other options. Reading this blog help me to compile information from other people's experiences and give me a better understanding of what to expect and what to do. Just returned from Baltic Cruise on Viking Star. They were VERY accommodating regarding providing many vegan choices at meals. Both The World Cafe (buffet style) and the Restaurant always had multiple choices. Just be sure to give notice before the cruise AND to contact the Head Waiter at the start for special attention. Usually got the next evening menu a day ahead & then could choose what I wanted and discuss how it could be veganized. The chef even made special surprise desserts for us. The specialty restaurants were more challenging. Manfredis (Italian) could always provide a choice. The Chef's Table (a rotating set menu) did not provide options for us. it always amazes me the experience people report regarding Princess cruises....I have had excellent accommodation on this cruise line. I always contact the head waiter in the anytime dining room and try to sit with the same wait staff every night and they get to know me and I have fantastic vegan food---everything from appetizers to desert. They even did a vegan flan for me. It was excellent. I have heard Oceania now has a VEGAN menu that they just launched. I hope to try this cruise line out soon. I do believe you have to be direct and firm about your needs and Princess will accommodate you...I did look at the next day menu each evening to allow the cooks a heads up about what I wanted for the next day....easy and painless. There is a 100% vegan cruise company Vegan Travel. They even use non-feather pillows and vegan toiletries. Cruises all around the world and no need to worry about something being non-vegan! We have done several trips with vegan river cruises. Amazing! Food is fabulous. Coffee and cake at 4pm.